Aviation accidents can be extremely devastating to the relatives, family members, and survivors of a victim. The pain and loss you experience can only be minimized by the passage of time. We know this because our Mississippi aviation accident attorneys have represented families who have lost loved ones or been injured in aviation accidents. 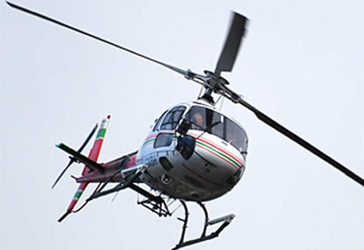 injured in helicopter crashes may be entitled to compensation for injuries sustained in these type of accidents. Aviation law consists of a complicated group of laws, treaties, and court decisions. Consequently, you need an airline accident lawyer who has the experience and specialized knowledge to lead the investigation into the cause of the crash and to help you collect the maximum amount allowed under the law. For an attorney experienced in handling helicopter and airplane crashes, contact one of our experienced Mississippi aviation accident attorneys to set up a free initial consultation.